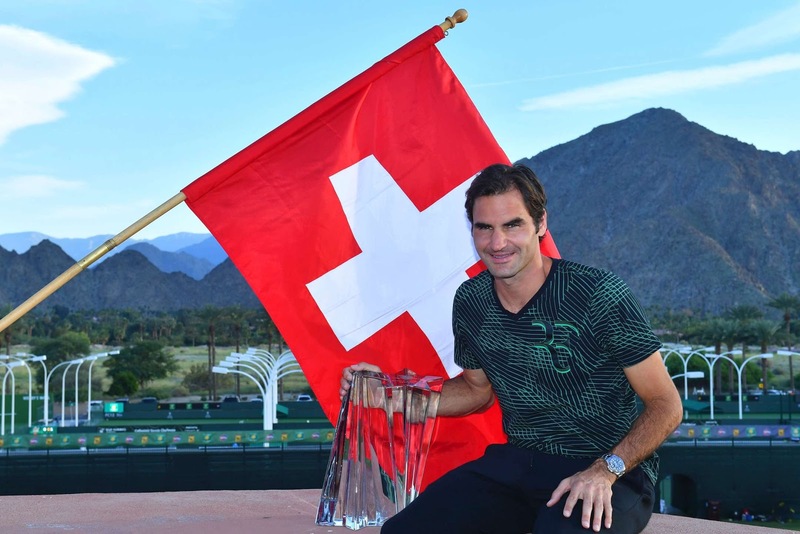 Only a brave pundit would have pencilled in Roger Federer as an early bolter atop the ATP Race to London just three months into the Swiss star’s comeback after a six-month lay-off. But after claiming the two biggest titles of the season to date, the 35 year old has already surpassed his own expectations for 2017. Victory over compatriot Stan Wawrinka in Sunday’s BNP Paribas Open final marked his 25th ATP World Tour Masters 1000 title - his fifth in the Californian desert - and comes on the back of his shock Australian Open triumph in January. It will require a welcome rethink on goals for the year ahead. “For me, the dream run continues,” Federer said. “I'm not as surprised as I was in Australia, but still this comes as a big, big surprise to me, nevertheless, to win here again and beating the players that I did and the way I did. I couldn't be more happy. “When I came here, what I promised myself was I was going to play with the right energy. It's not always Grand Slam finals. It always starts at zero. You have to get yourself up for the first rounds. The Swiss will climb back to No. 6 in the ATP Rankings as he heads to the Miami Open presented by Itau. He stands to make up ground having missed the ATP Masters 1000 event last year and given two of his greatest rivals, World No. 1 Andy Murray and No. 2 Novak Djokovic, have withdrawn citing right elbow injuries. “In November, December, when I realised things were going well, and we had a meeting about what the goals are for the season in terms of rankings, it's really secondary, but we wanted to set some goals for the season, and the goal was to be Top 8 by Wimbledon. The last time Federer won in Miami he defeated his coach Ivan Ljubicic in the 2006 final to defend his title from the year before. He completed the Indian Wells/Miami double in both years and is well aware the difficulty in achieving the feat, let alone 11 years later. “I think now it's really important for me to rest up, maximum,” he said. “I hope I can play as late as possible going to Miami. Then I will make the plan for the remainder of the season - especially for the clay - after Miami, and then see also what the goals are, because the goals are clearly changing after this dream start.